We present a simple agent-based model for the evolution of between-group attitudes (measured on a linear scale) in a community that is divided between two distinct social groups (which may be distinguished by religion, ethnicity, etc.). We derive approximate analytical equations to predict the change in mean attitudes over time given certain assumptions. 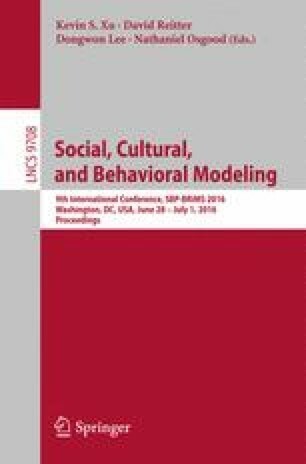 The model predicts that social pressures cause each group to tend towards extremes of hostility or acceptance towards the other group. Under some conditions, groups can have stable extremist and moderate factions, but very small changes in system parameters can upset the stability. Interpersonal cohesion (the degree to which individuals influence each other’s opinions) plays a significant role in controlling within-group polarization. We show that strategies to improve intergroup relations that target subsets of each group are much less effective when cohesion is low.